Personally, I am rather elated that 2009 has come to an end. Things can only get better. It’s been a volatile year with a roller coaster of emotional highs and lows. As I look forward to what the new year brings on, I reflect at what 2009 left us with. 2009 started on a very promising note. The first 6 months were a high rush of sweet happenings. We were looking forward to a major change in our lives – a move that was supposed to bring new adventures and goals. Tom turned 40 in April and we celebrated with a surprise birthday party and high up in the skies looking down at Weimar. Then there was our “over 10 years” vow renewing in May – what a party, what an event and what friends! During all this time we were busy – packing, selling and preparing for the move. Soon though things turned. The move was off, Tom was resigning and back at the university and I was sinking into a melancholy of mixed emotions. We were unpacking, without having moved anywhere, were buying new furniture that left a bitter taste in our mouths. For the first time in my life I did not have a personal goal to follow. I think that was what scared me the most. I always have a goal and a plan. But now there was hardly any time for goals or plans – we were busy picking up the pieces and sticking them back together again. It took me an awfully long time, longer than it took Tom, but I did finally bounce back – slower than usual but it happened. There were happy highlights in the later part of the year – A-HA and the Food Blogger Connect to name a few. Blogwise things moved along very smoothly. While my real world was up and down – it was this space that somehow kept me normal and gave me perspective. It probably sounds crazy but this year it was this virtual world that gave me the motivation and strength to move on. Through this space I’ve come together with a few absolutely incredible people – friends who have shared their warming and supporting words, who have hugged me and sent me love. More than ever I have come to respect everything I have gained through What’s For Lunch, Honey?. As I have done in the past couple of years, I recap the year gone and share with you my favorites of the year. 2009 brought What’s For Lunch, Honey? 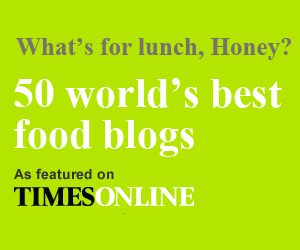 a bit of media publicity with the UK Times Online selecting this blog as one of the World Top 50 Best Food Blogs. It was an honor for me to be amongst such incredible company. Der Tagesspiegel a prominent German Online newspaper - mentioned WFLH in an article that focused on the best food blogs and our regional newspaper the TLZ, wrote about WFLH and me on their title page of the Weimar section. It’s all blown me away! This year I wrote 115 posts and took numerous photos for the blog. But I also took several photos outside of the blog as I landed a few wonderful photography jobs for Clients, mostly in Germany. That’s something that has brought me enormous pleasure and am looking forward to pushing this aspect further in 2010. Incredibly What’s For Lunch, Honey? was visited by almost 1,000,000 visitors in 2009 making the visitor count cross the 2,000,000 mark since February 2006! It’s so wild and grasping the numbers leaves me baffled each time. It’s been one of the greatest pleasures – having you all over to my humble blog. I thank each and every one of you, who have taken time to read through my stories and to leave a comment with your thoughts. I love getting your mails and enjoy getting to know you through your own blogs and emails. As always it is you – my valued readers, faithful friends, loyal fans, perceptive advisors, praising cheerleaders, incognito lurkers and always my supporting family, who keep What’s For Lunch Honey? rolling and alive. You push me to think out of the box and reach for new heights. I thank you for all you do but most of all I thank you for being a part of this space. It’s always exciting to read your comments and thoughts on a particular, story, recipe or photo and I love getting emails from you telling me why it became your favorite. Staying with the trend of 2007 and 2008 I share with you my own favorites of 2009. Bollywood Cooking is a very special part of this blog for me. 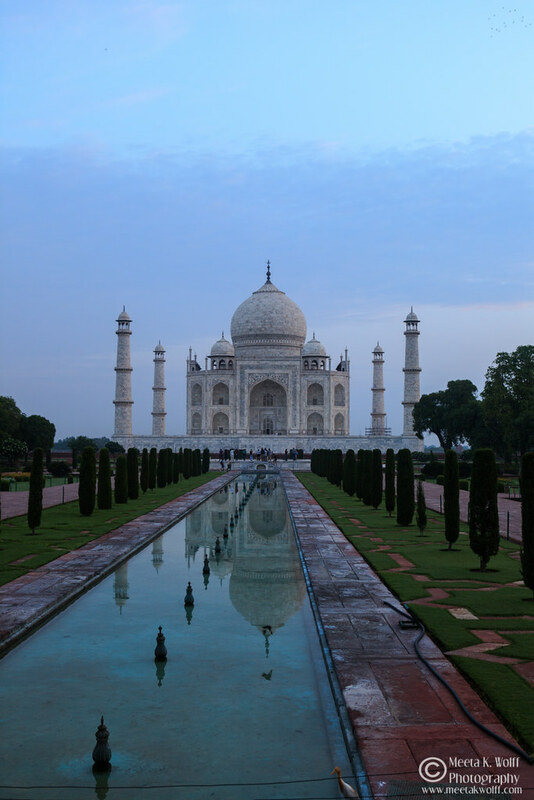 I love sharing my stories of India, of my grandparents and my research of a particular recipe. 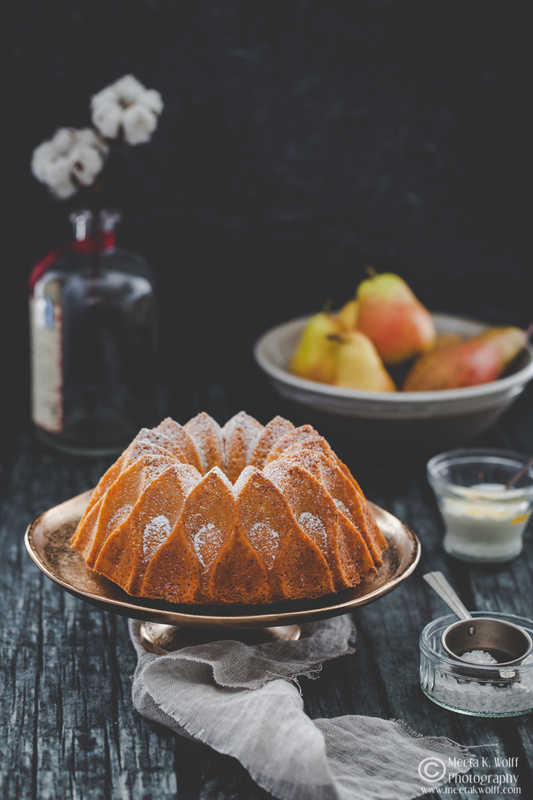 The recipes are mainly of food I grew up on and by coming here and retelling my tales I am able to be close to my family – some are gone forever, others are miles away. 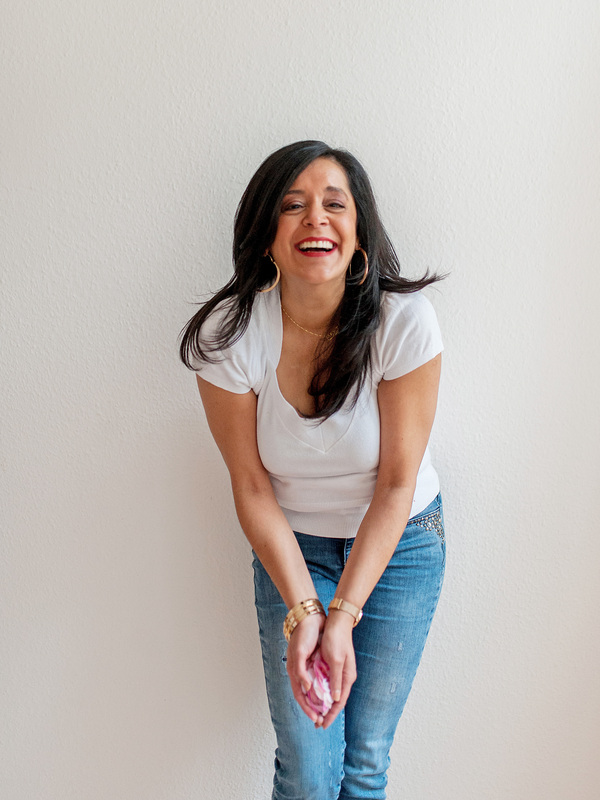 I hope you are enjoying discovering Indian food as much as I am enjoying sharing my stories with you all. My most favorite story and recipe this year has got to be my nani’s Kesar di Kheer – Saffron Rice Pudding. The candid story was about Tom meeting my family for the first time and having to indulge in a not so favorite dish of his. The recipe was of my grandmother’s saffron rice pudding, which I grew up on with a special sprinkling of saffron to bestow her love to each of her grandchildren. Whereas last year Bollywood Cooking was all about popular and well know restaurant food, this year I concentrated on simple homey food, food that Indian families cook and eat at home everyday. There was my mum’s creamy Black Lentils - Kaali Maa Di Dal, a satisfying Punjabi Aloo Gobi – Spiced Cauliflower and Potatoes and a hearty Egg Curry in a Creamy Coconut Gravy. There was also a fun blog swap with Mowie's Pink Almond Spekulatius Barfi and my Chocolate Lebkuchen Fudge Burfi. Cooking School is based on a similar concept as Bollywood Cooking, however the focus is on recreating and researching other very popular dishes and recipes from around the world. This year there was a comprehensive tutorial on 5 Ways to Make Homemade Dulce De Leche, a traditional Tarte Flambée d'Alsace - Elsässer Flamkuchen and more recently Almond Spekulatius to name a few recipes. My favorite however was sharing my recipe of the popular Middle Eastern dish of falafel, served with a minty tabouleh and a tahini-yogurt sauce. With the Food Guide section my aim is to research a particular ingredient or cooking/baking technique. What I learn and know, I share on this space, hoping to make the Food Guide a comprehensive guide to a variety of produce, spices, herbs and techniques for you to refer to when in your kitchens. This year the most valuable technique I tackled was most certainly making macarons. I read intensively on the web and in the library and put down all my knowledge in the tutorial. It’s been fun making these delicious little treats. The Food Guide also presented farro, Szechwan peppercorns, sumac spice, wild garlic/ramson, quince and goji berries to name a few products covered, but my favorite was the queen of spice – Saffron. Recipes – that’s probably what makes up 80% of this blog and I had quite a few to share this year. Choosing one special one is going to be hard but the Fettuccine with Spicy Lamb Sausage Meatballs in a Piquant Tomato Sauce was definitely a top runner. It was easy to prepare and tasted incredible. There was also these sensational Butter Beans and Leeks and the savory Clafoutis with Tomato Zucchini and Goat Cheese. We adored the Caramelized Potato Leek and Brie Quiche too. Not only was this picture of the Baked Vanilla Infused Peach Risotto my absolute favorite food photo of the year it was also our favorite satisfy-the-sweet-craving dish of the year. Since then I’ve made it in a few different varieties, each time loving it more. But there was also this Dimpled Mirabelle Plum Foccacia with Lemon Poppy Seed Butter and the Pumpkin and Carrot Spice Cake with Orange Cream Cheese Frosting which became an instant favorite. For both recipes I got quite a few emails from people falling in love with both treats. Thanks! We indulged in a lot of desserts this year too like the Chocolate and Raspberry Crème Caramel, or the Layered Cranberry and Mango Mousse and of course the Strawberry Yogurt Mascarpone Tart. April 2009 marked two years with the Daring Bakers for me. It’s been a fantastic ride with the several hundreds (or is it thousands) of hobby bakers around the world. We conquered new heights this year. There was the Dobos Torte with Quark Chocolate Mousse, a Bakewell Tart with Thyme Infused Cherry Preserve and Cashew Frangipane, a Dulce De Leche Cheesecake, the Lasagna Verdi Al Forno and of course the Daring Bakers: Cannoli with Gianduja Cream and Lemon Goat Cheese Cream. My favorite was most certainly the Saffron Macarons with Cardamom White Chocolate Ganache. An incredibly aromatic flavored treat that melted in our mouths. Photography is a huge passion for me and throughout the whole year I am taking shots of food, landscapes and still life for several reasons. Many of the shots do not or cannot (due to some Clients) make it on this space. But it keeps me busy and motivated to try out new things and techniques. With the my own little photo corner I am able to test, play around and practice several things I have read about or learned over the months. I am looking forward to expand the photo corner, pimp up my equipment and improve my workflow in 2010. Awards from popular food photography events like Click and DMBLGIT encourages and keeps me focused on improving my food photography further. Blogwise the year has been good to me and I was glad to have shared it all with you. I took you high on a hot air balloon ride, where Tom & I were ennobled Duke and Duchess of the Yellow Fields of Apolda. We fled to our summer recluse in Denmark together and enjoyed pure relaxation after a turbulent few weeks and were a part of a major milestone in our lives and contemplated breaking free after an A-ha concert. Of course one of the most cherished highlights was definitely the Food Blogger Connect meet in London. I’ve been blogging for almost 4 years now and for as long as I can remember my biggest wish was to meet some of the friends I have made over these 4 years. In November this wish came true. Meeting a fellow food blogger is unlike meeting any other friend! The cool thing was that all of us already knew the nitty gritty details of each other so there was no need for introductions and small talk – we simply dived into the fun. I cherished the short time I spent with them – Jeanne, Jamie, Hilda, Deeba, Mowie, Beth and Sunita– we are already planning several meetings in 2010. Then there was Claire, Kerrin and Sarka, not to mention, Davina, Alessio, Pam, Kang, Sarah and Oz – all of whom I am looking forward to not only getting to know better but also meeting again. 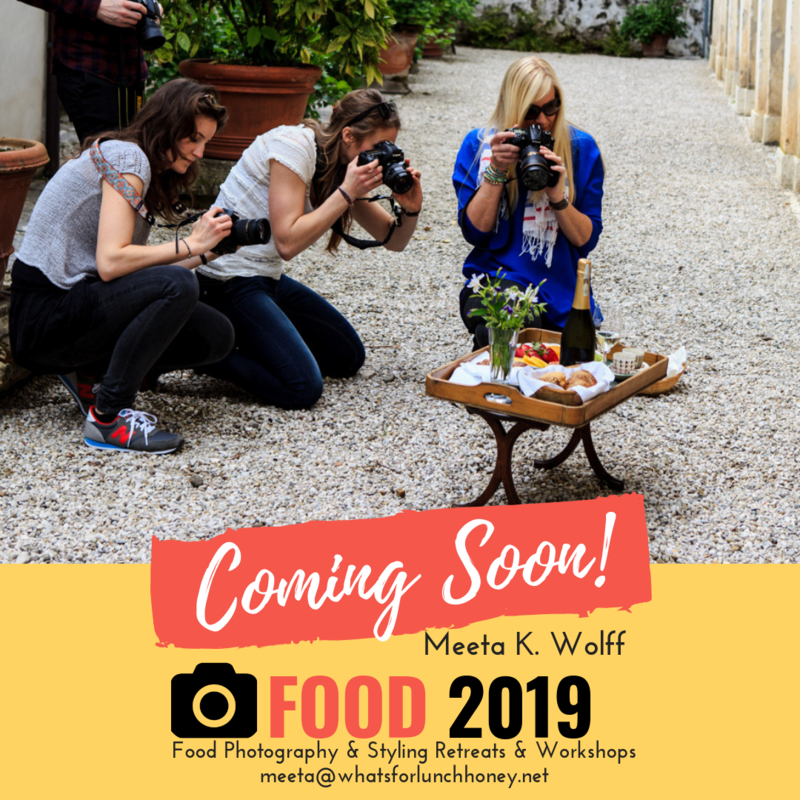 Food Blogger Connect also gave me an interesting platform to speak about food photography and styling and as I visit the blogs of those that were present at Levant that day, I feel a certain excitement when I read that some of what I said is really helping people! Golly! It’s given me wings to explore the aspect of presenting and sharing my knowledge further. Let’s see where I take it in 2010. June 2010 we’ll all meet at the next Food Blogger Connect! I look onto 2010 with mixed emotions, but am sure it’s going to rock! The best part of it is that I know you all will be right there rocking this space with me! Wishing you all a jazzy, funky and bubbly new year. May 2010 be a delicious year for you filled with sweet treats and exquisite bites. I look forward to your blogs, recipes and friendship and most of all thank you for allowing me to be a part of this incredible community. Srivalli is having a Best of 2009 event and this is off to her. What a great year! Thanks for sharing! Meeta, you've summed it up perfectly! Wishing you all r=the best for 2010. What a happening year Meeta, and I am so glad that the turning of events was frutiful & sweet! Yay to have met wonderful you. What a glorious post this is! Good luck for the new year! May I say , again, that I really love your blog! You are an amazing person and if any single person (and their blog) have inspired me this year it is you. You are a fireball of energy and amazingly talented. But more than all of that you are such a caring, generous person, sharing tips, advice and your talent with those around you rather than jealously hoarding it for yourself. I have met no one like you, nor has someone reached out to me more than you have in so many ways. Meeting you and getting to be a (very close) friend has been a highlight of my 2009 and I so look forward to spending more time with you. You do deserve all of the accolades. Wish you and your family a wonderful 2010. What a beautiful year end wrap up, Meeta! I'm so happy that I know you. The photo of the saffron strands is so clearly etched in my memory. Wonderful reading and summery of a very busy year for you. 115 posts, wow! And it was nice to browse through your own favorites, but it reminds me also, that I have missed a lot. Have a fantastic and even more exciting 2010.
fab post meeta... wishing you and the family a rocking 2010! You've definitely helped me with my foodie photos, I pour over every new picture you post. Can't wait to meet up again at FBC in June! What a great year! I hope 2010 will be fantastic! Wishing you a Blessed and a Happy Year Ahead. You have a wonderful and inspiring blog out here. Meeta, what a year. I look back at what you have achieved and I'm just blown away. I've only been blogging for just over a year and really only hit my stride a few months back. You inspire me. Thank you. Thank you for sharing all those wonderful recipes Meeta! Hope you have a happy year ahead! Meeta, WFLH has been an integral part of my daily life. Thank you for sharing this wonderful space with us. Here to many more in 2010. An ardent WFLH fan from dxb! Wish you a great year ahead Meeta..
You have summed it up so well Meeta. Have a great year 2010! Lovely update! Wishing you all a Happy Healthy, Peaceful an Prosperous 2010. What a fantastic recap. Thank you Meeta for all the fun, inspiring, interesting and informative posts, and of course, beautiful photographs I find on each visit here. Wishing you and your family a very wonderful 2010. Meeta, wow. I read this with delight and with joy. With hope that all things work together for good. It is well with you. When I met you at FBC, I'd been reading your blogs for months and I was humbled, amazed, and comforted by the simplicity and honesty that was you (and all the other FBC'ers). What a great year! This year was great for me as I discovered food blogging, discovered new and beautiful blogs (including yours), and loved every moment of it! Wow.. what a wonderful year you had Meeta.. and hope you have many more in coming year too!! Happy New Year. You've had quite a year but have come through it quite well, I daresay. Hugs and best wishes for a wonderful 2010! wishing you a wonderful 2010 Meeta! have a wonderful year ahead, dear meeta, tom and soeren. Thank you for sharing this personal summary. A very Happy New Year to you and your wonderful family!!!!!! Wishing you many more years to blogging and hoping that this year would bring you more joy, happiness and success in ur life! It's been only recently that I've been following your blog so there was no way for me to know the ups and downs you experienced in 2009! I'm glad you bounced back and blogging has been there for you during the uncertain times! This comment wouldn't be complete without letting you know how gorgeous your pictures are! A great source of inspiration... Wishing you a great 2010! It has been a great year! I am glad that I found your blog and found some interesting pieces here that served as my inspiration in the kitchen! Thanks and a Happy New Year! Belated Merry Christmas and Happy New Year. A lovely round up of your year, lots of good, some not so good, but in general a good year. May this year only have enough bad in it to make you appreciate the good even more. So not too much! thanks you everyone for all your precious best wishes. i hope you all have a very healthy, successful and prosperous 2010! can't wait to share it with you all! First of all I wish you all the best for the new year Meeta! I think it was around the time of your move not happening that I started reading your blog and ever since I fell in love with it. Your photography is gorgeous and you write with a passion that keeps me coming back for more every time! What a beautiful post! I really look fwd to WFLH in the coming year as well. Wow, what a year it has been for you. Wishing wishing you all the best for 2010. Good luck with everything.